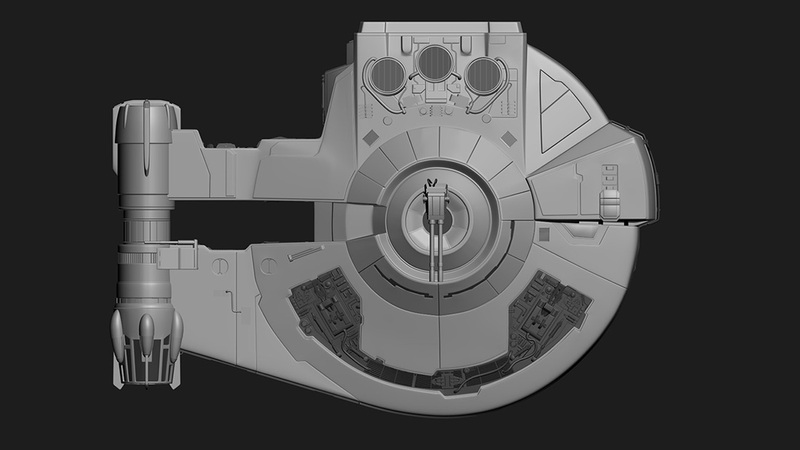 I created this as a speed-modeling challenge to myself, and also an excuse to do some more sci-fi work. 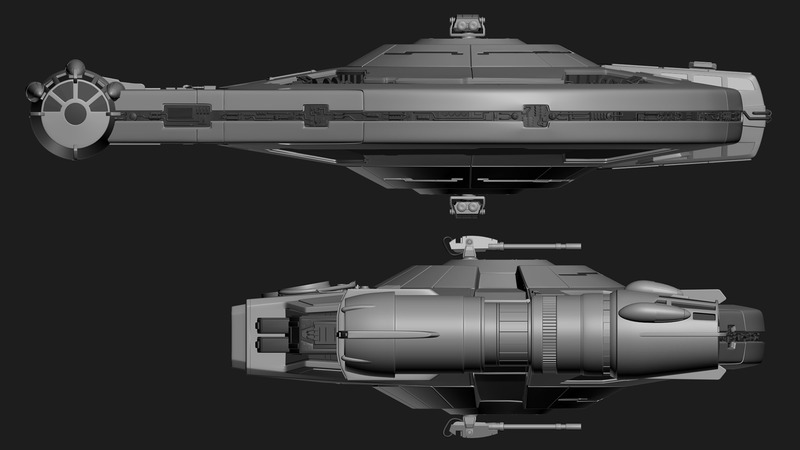 If you're out of touch with your sci-fi, this is "The Outrider" (or maybe just my own variant of a YT-2400 light freighter, since I took a number of creative libertiers) from the Star Wars Extended Universe. 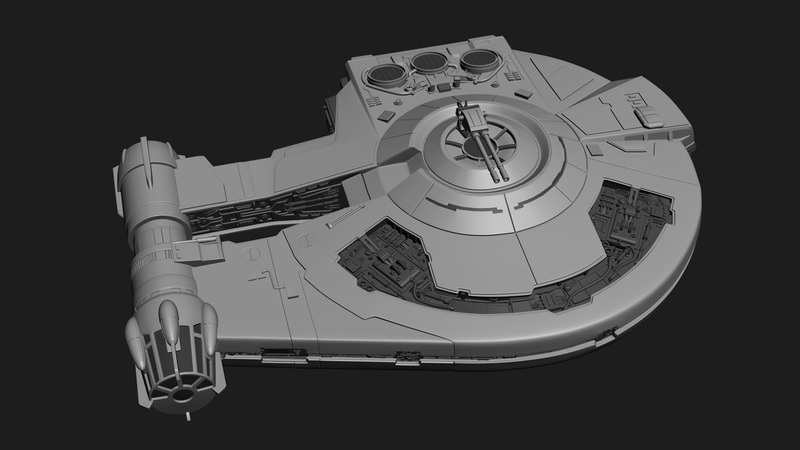 The modeling was done in 3ds Max using polgon and spline modeling. All of the "greeble" is hand-made, purposefully placed, and labeled to a logical extent. I've been using this model as a test bed for learning to texture in several rendering engines including Arnold, which is what this hero image below was rendered in. 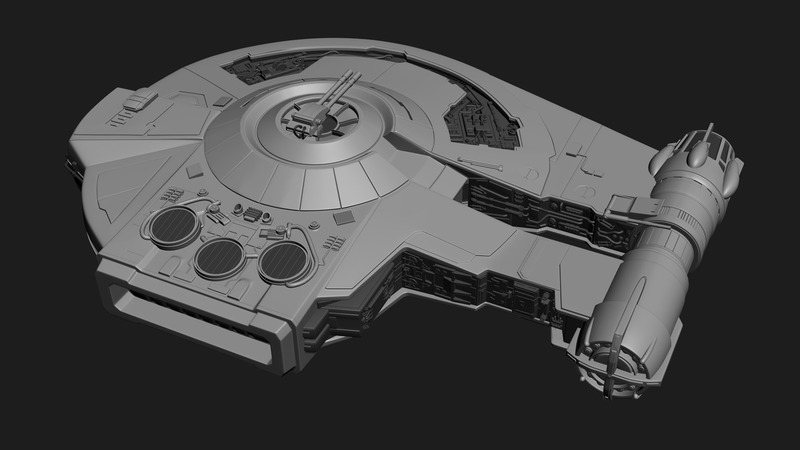 I painted texture maps for the ship in Photoshop and did the shading and lighting in Arnold. Compositing was done in Fusion. 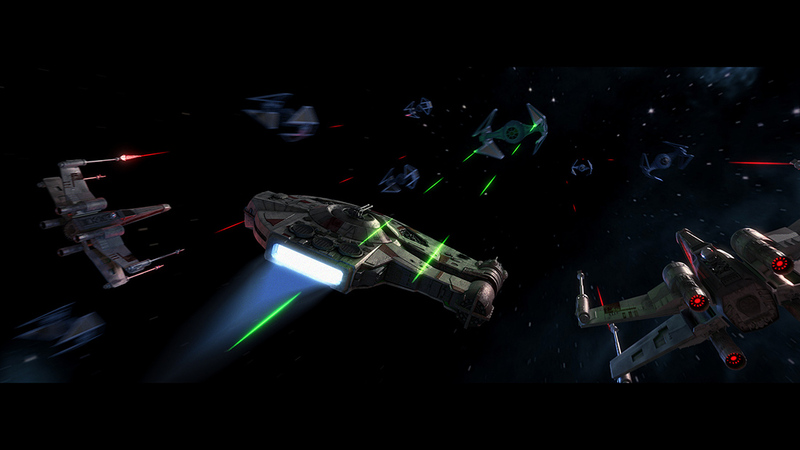 I did not model the X-Wings.